Drawstring bags will make a perfect custom gift to reach out to your outdoorsy clients. Budget friendly and hugely popular, these fashionable bags steal the hearts of every bag lovers with its impressive color choices and simplicity in its designs. The single main compartment that can be closed by pulling a drawstring makes it a perfect choice as a grab- on-the- go bag. Be it a game day, concerts, tailgating party or camping or hiking holiday, these custom bags will get a lot of attention. Personalize these with your brand and message and see how your brand will get a high level of exposure and portability. Everyone loves these bags for its beauty and versatility. If you are looking for a trendy bag for the outdoors that will never look out of place in back to school events, beach parties or adventure holidays, then custom drawstring bags could well be the best choice. Reports show that a highly useful promotional product is likely to get 500 percent more referrals than an appreciation letter. 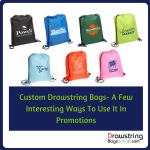 So, make sure to place your promotional dime on these custom bags that are hard to resist. Just in time for the outdoor fun and sports events, we have come up with some special deals and discounts on a few of our best selling models. Don’t miss this opportunity. Shop right away! Non-Woven Sports Pack Polypropylene: It makes a great logo gift for sports marketers and holiday marketers alike. 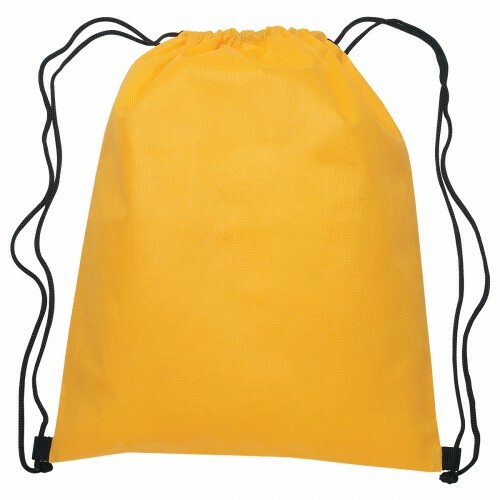 These polypropylene drawstring bags are well sought for its generous storage space for managing sports essentials and other accessories. 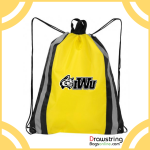 Offered in a bevy of attractive colors, these bags can be considered as team spirit items for sports teams. Choose a color that matches your team colors, imprint your logo and message and see how these daily use items will drive up their team spirit and pride. Sponsors can employ these bags during sports events or health marathons as their brand on these will get a wide angle display for a very long time to come. 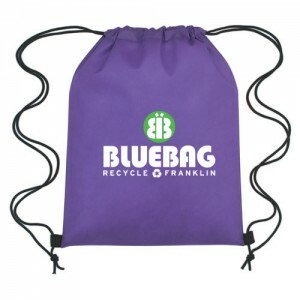 Drawstring Backpacks – Polypropylene: These 100% non woven polypropylene drawstring bags offered in a single color choice of purple will make another interesting option to consider. 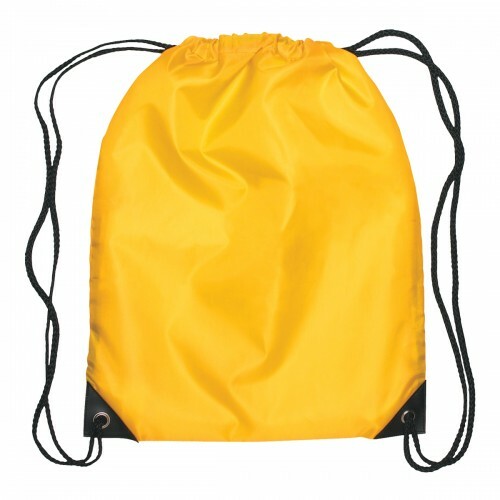 This light weight, yet highly durable drawstring backpacks is well sought for being adorable and affordable alike. This backpack suits everyone right from yoga teachers, dancers, travelers, instructors, students or sportsmen. Make use of the discount rates on offer; shop right away! 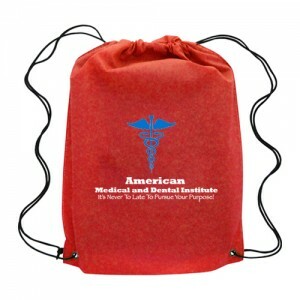 Drawstring Bags – Small Hit Sports Pack Polyester: Made of 210D polyester, these attractive bags that feature contrasting simulated leather reinforcement black trim at the corners will make a great custom gift for budget promotions. 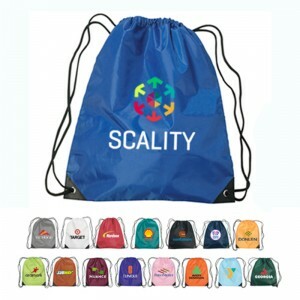 With a price to die for, these logo bags will win hands down as a promotional item for promoting Youth sports teams, schools, educational centers, corporate offices and summer camps among others. Make use of our discount offers and grab the most trending gifts in town for your recipients. Hurry! 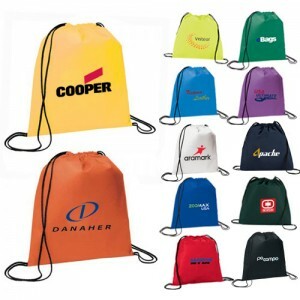 Which of these drawstring bags are you planning to use for your brand promotions? We would love to hear from you; share your thoughts and this post too!